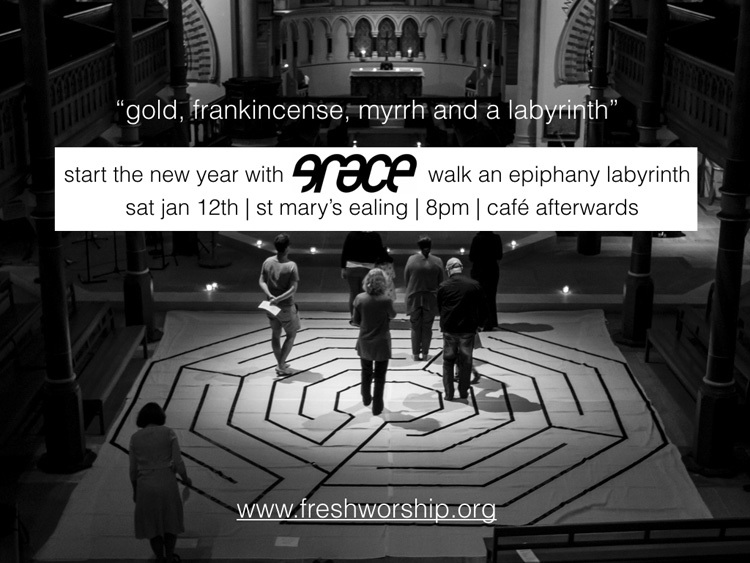 Grace is a Christian community that meets in Ealing, west London. Creative worship services - dates below, at St Mary's Church, St Mary's Road, Ealing, London W5 5RH. Nearest tube station: South Ealing [Piccadilly Line]. 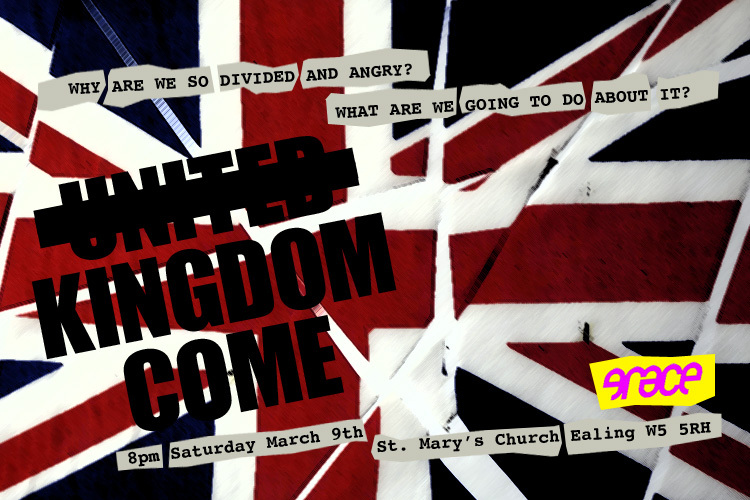 8pm at St Mary's Ealing with café. 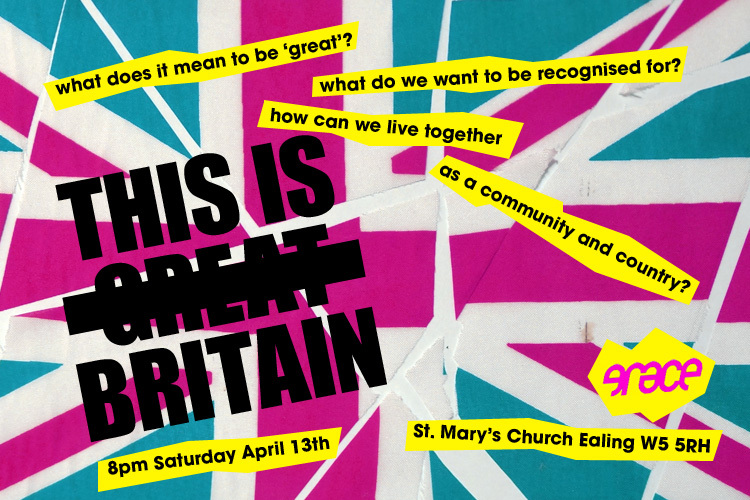 What does it mean to be 'Great'? What do we want to be recognised for? How can we live together as a community and country? All are welcome. We will not be having any meaningful votes, we only want to start a meaningful conversation. You are welcome to continue the discussion in the café after the service. The only red lines might be if someone spills some wine. Why are we so divided and angry? What are we going to do about it? All are welcome. After the service you can either Remain for the café, or Leave to look for a better deal elsewhere. 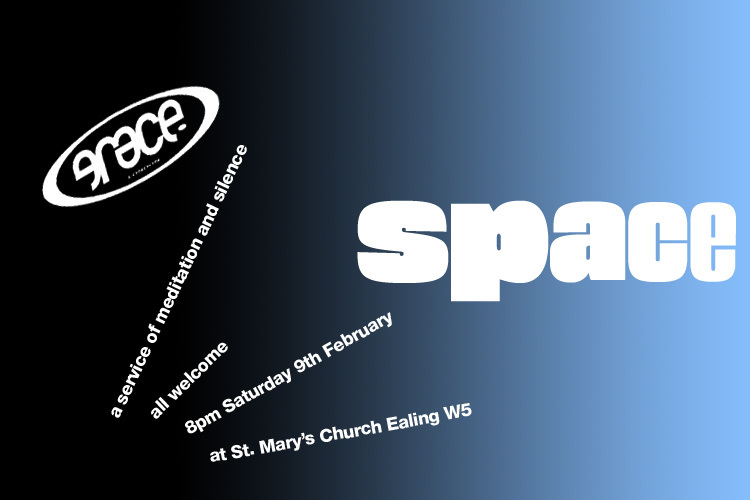 Everyone is welcome to join us on 9th February for a service of meditation and silences, followed of course by a less silent café! This year our February service falls in a space between church seasons - Christmas and Epiphany are past, Lent does not begin until March, so we find ourselves in an in-between place, a place to pause for quiet reflection. 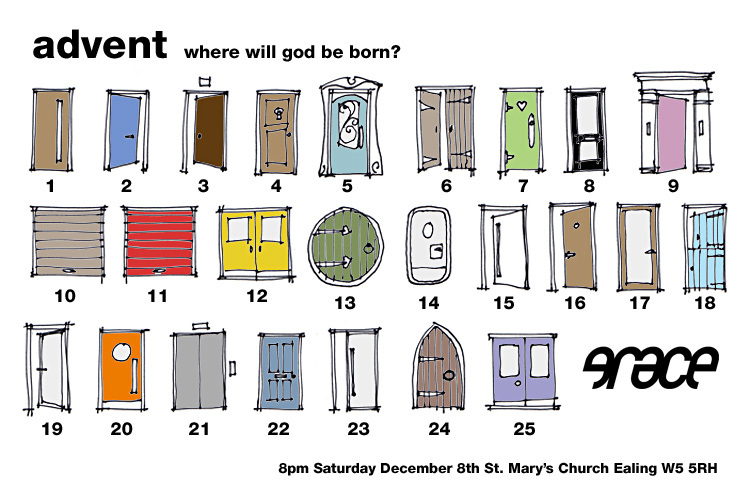 This year Grace is as early in December as it can be, so we've gone for an Advent theme to be explored in reflections, music and prayers. However, we will still be doing mulled wine and mince pies in the café afterwards! 'God in the House' was a series of 6 programmes shown on Channel 4 24th-30th December 1996. Each one featured a 'radical alternative Christian service' and the final one was Grace. We finally had it digitised and put it on YouTube here for your entertainment! Of course it's an artificial situation. The church is lit for filming, there are more people than was usual, the emphasis is on live music not recorded - probably due to performing rights issues for TV programmes (although a bit of Inner City Life can be heard at one point). And there was a Communion which was edited out. This explains why Jonny is suddenly singing with a glass of wine! A walk around the space at about 11pm. The meal is over and some people have gone. 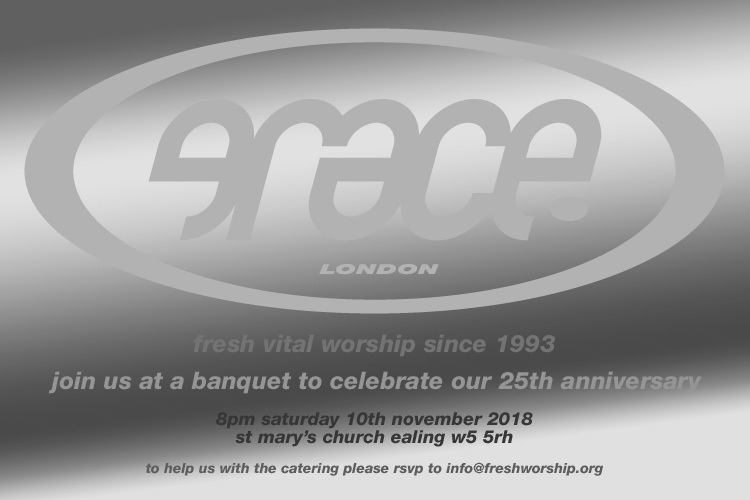 Grace 25th anniversary celebration from steve collins on Vimeo. We have created a 64-page full colour zine to mark 25 years of Grace - it grew into a small book really. But it could have been two or three times as big! Click here or on the image above to open it in your browser. You can then download it to keep. It's 50Mb so maybe best to open it when you're on wifi. Takes a few seconds but it's worth it! We would love to see you on November 10th for a meal and celebration of our 25th anniversary. 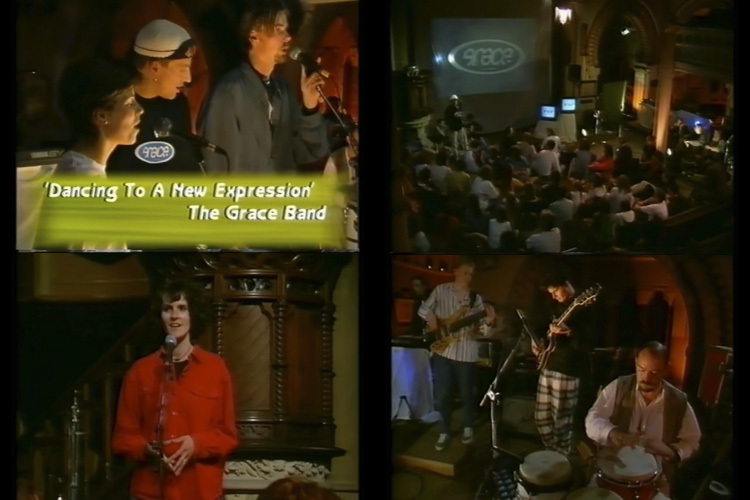 Grace began on Sunday 7th November 1993, with a service called ‘Grace’ and Dave Tomlinson as guest speaker. We can't quite believe that was a quarter of a century ago. The evening will revolve around a celebratory meal, with plenty of stuff to bring back memories, and also look to the future - Grace 50th in 2043? It will be great to see as many old friends and members as possible. 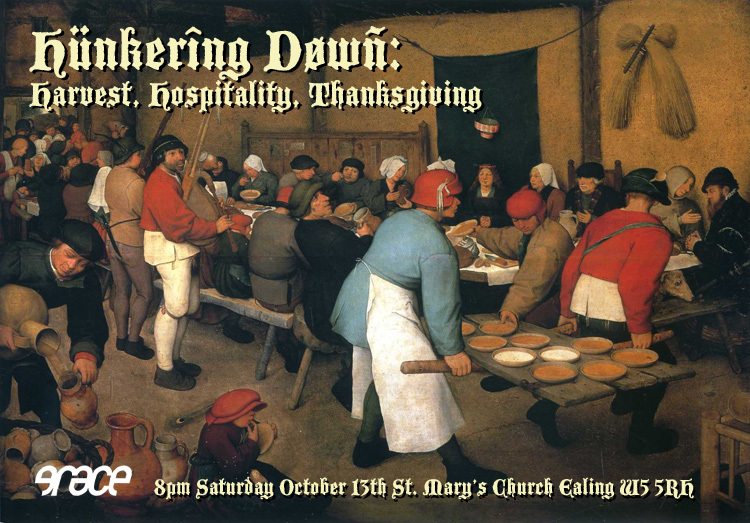 Please let us know at info@freshworship.org if you intend to come, it will help with the catering. Join us at Grace for an evening with unusual punctuation. 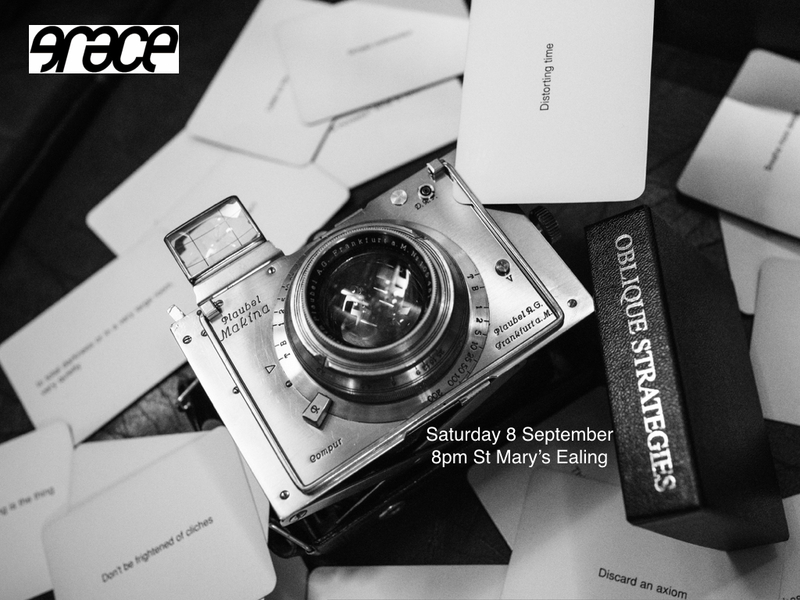 A new season of Grace kicks off this Saturday with Oblique Strategies. There is a photography exhibition that will be hanging in St Mary’s church put together by the Ealing London Independent Photography group which has a couple of Grace members as part of the group. The exhibition is part of BEAT - the Borough of Ealing Art Trail. 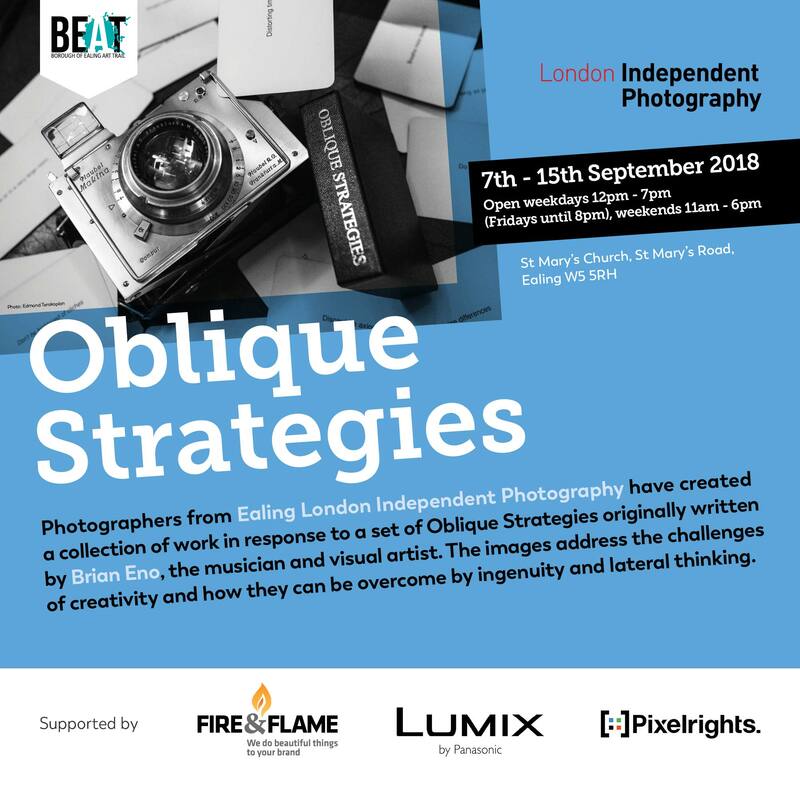 It’s called Oblique Strategies inspired by Brian Eno’s cards of that name - each photographer was given a card at random and the photos are a response to that. It will look great suspended in St Mary’s and it’s wonderful that we are able to use the space in the middle of the exhibition for Grace. Grace itself will interact with the photos and explore a couple of spiritual practices using photography. As ever there will be a cafe afterwards. Below is the flyer for the exhibition.